Where and why? : Verdun. One of the stand offering “terroir” food to the locals for the “Panache et Bois Rond” event, celebrating “Le temps des sucres” in Quebec. 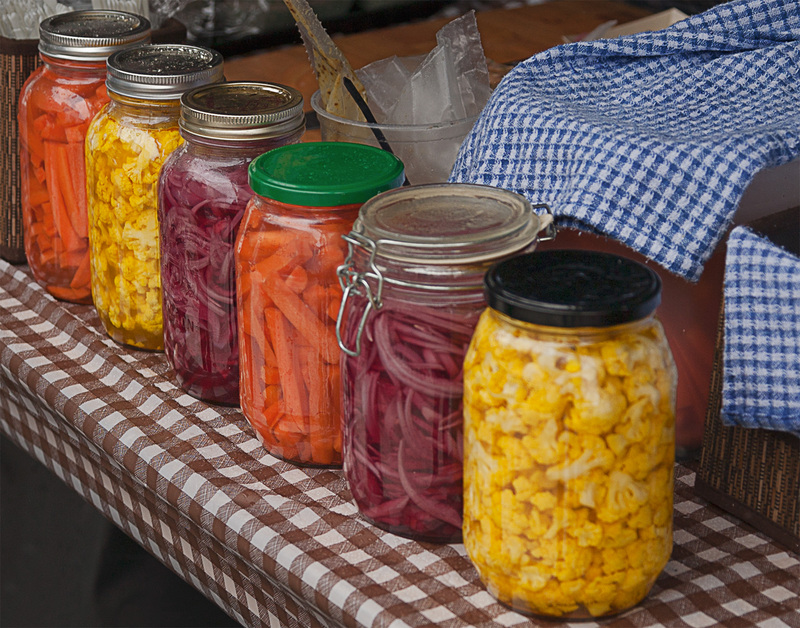 A variety of food was on offer, including oysters and “poutine de la cabane”, but it was these jars of colourful marinated vegetables that caught my eye. Traditional food for an event celebrating tradition.